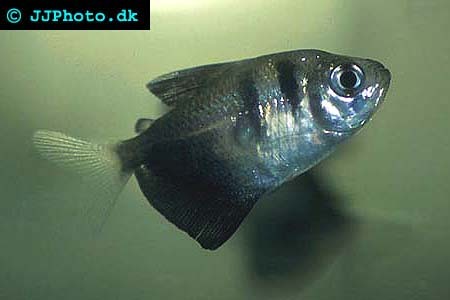 Company: Gymnocorymbus ternetzi (Blackskirt Tetra) is suitable for community aquariums. Aquarium setup: Gymnocorymbus ternetzi (Blackskirt Tetra) is best kept in a well planted aquarium with floating plants. The aquarium should be planted so that densely planted areas as well as open areas are created. They should never be kept in schools of less then 10 fishes. Feeding: Gymnocorymbus ternetzi (Blackskirt Tetra) accepts most food types.